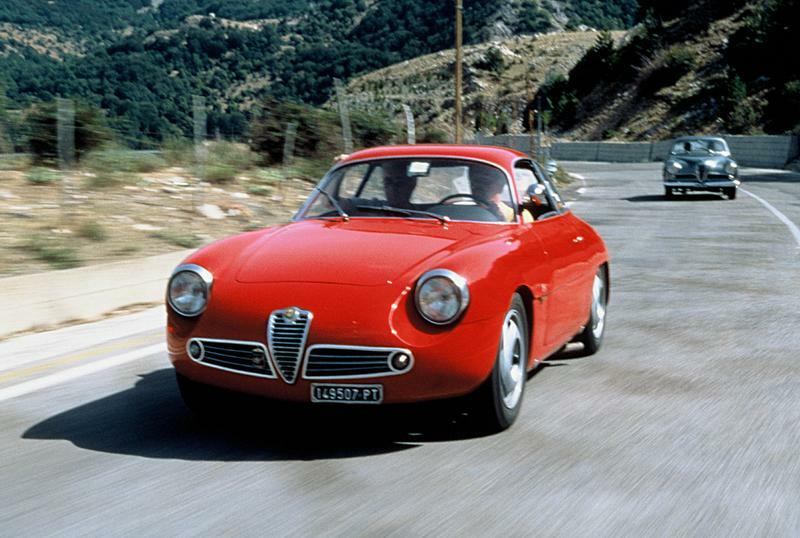 The Giulietta SZ is one of the classic Alfa Romeos of all time, it is little remembered nowadays outside of racing circles however its racing pedigree is almost unparalleled and any SZ in reasonable condition is worth around £60,000. 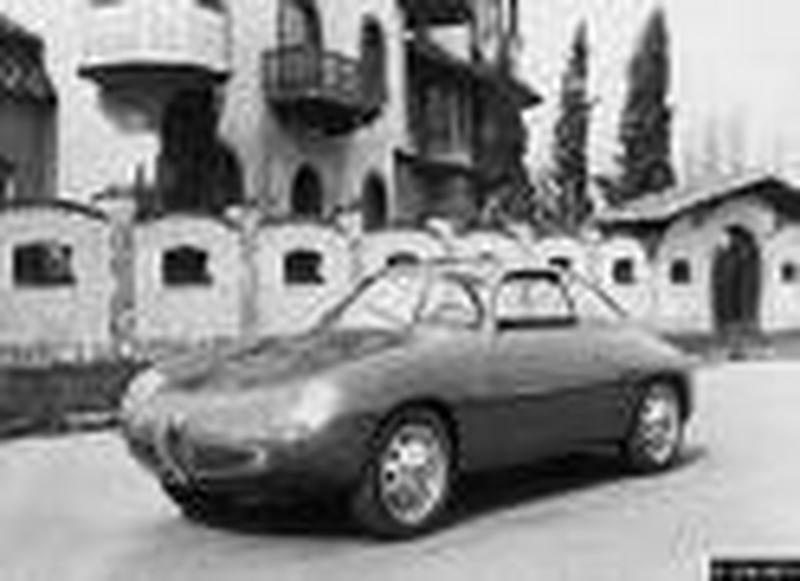 In 1957 Alfa Romeo in conjunction with Bertone developed the Giulietta Sprint Speciale who's stunning lines appealed to just about everyone and who's design was influenced strongly by the BAT cars that Bertone had been working on, however as a racing car the long front and rear overhangs made it slightly unwieldy in competition and this left room in the market for one of Bertones competitors to come up with an altogether different design. 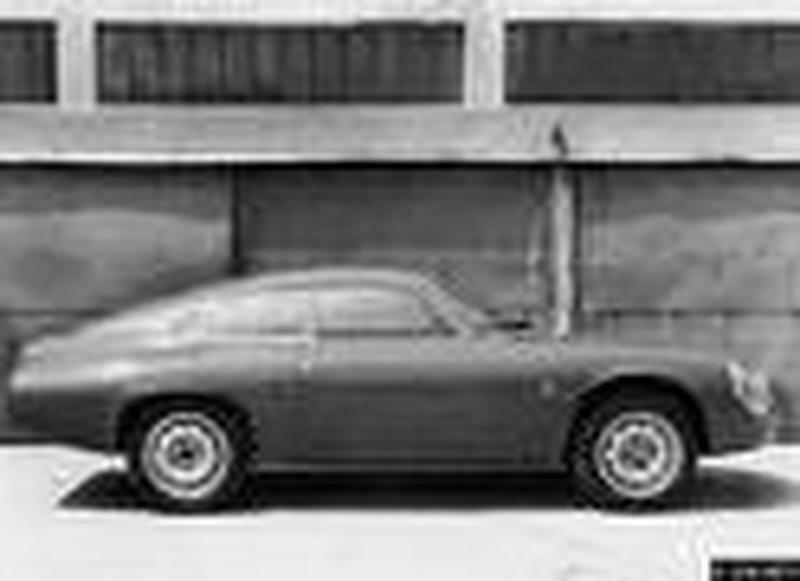 The SZ was almost the antithesis of the SS with almost no overhang front or rear, it is short and stumpy not long and elegant like the SS Its body was made from Aluminum and the weight was down to a featherweight 785 Kg when released and this was reduced still further and by 1962 she only weighed a mere 770 Kg. 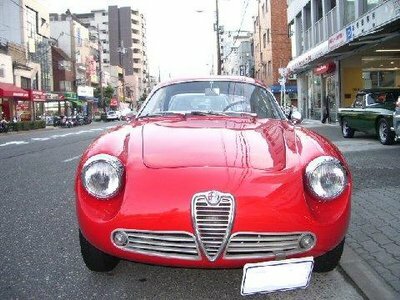 The engine was tuned on the SZ to produce 100 bhp @6500 rpm this was achieved by increasing the compression ratio to 9.7:1 and improving the engines breathing through twin Weber carburettors. 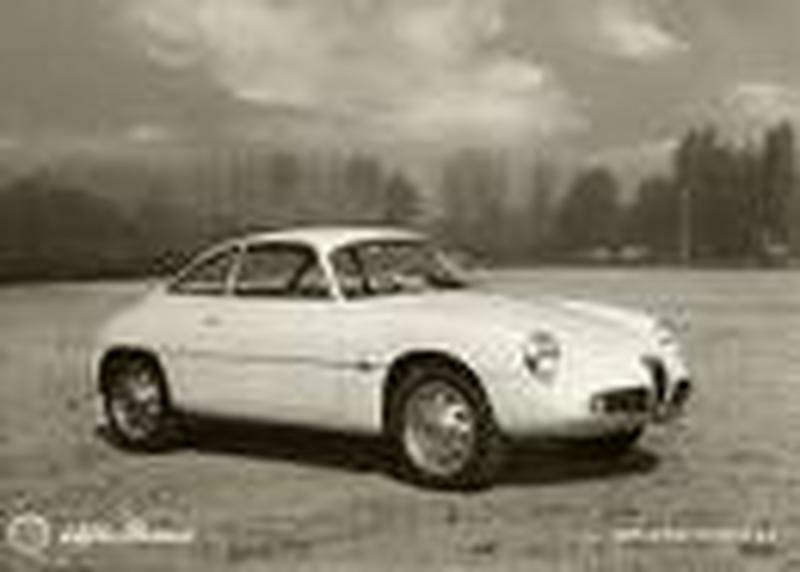 The SZ could now top 118 mph (190 Kmh)which was just slightly slower than the SS but the compactness of the design made the car much more nimble than the SS with a better weight distribution. 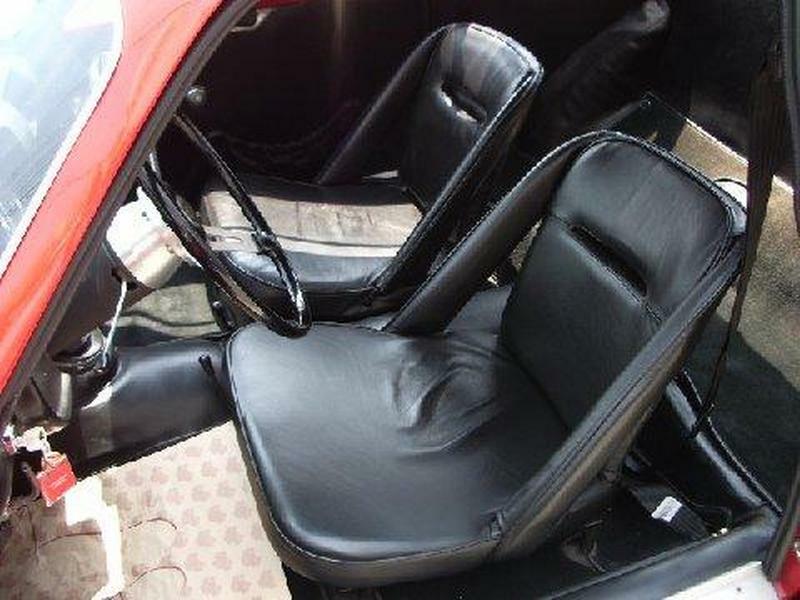 The car was modified in 1961 and it got the camm tail (along with the weight reduction mentioned earlier) and a power increace of 10 bhp, this helped the cars competition record still further and the SZ won a large number of events in the GT class. 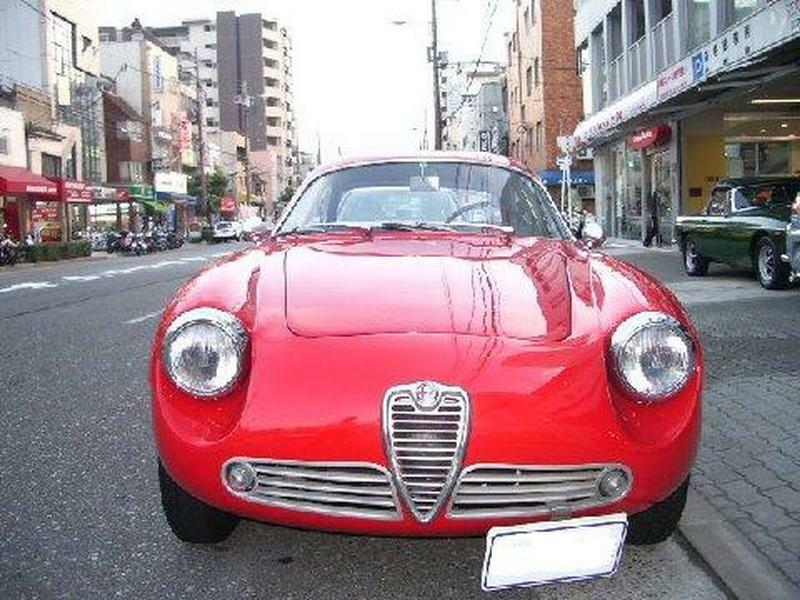 Altogether just over 200 SZ's were produced (208-9?) the last 30 of the cars being the coda tronca (cam tail) version.